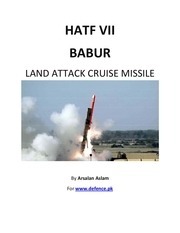 This PDF 1.5 document has been generated by Acrobat PDFMaker 11 for Word / Adobe PDF Library 11.0, and has been sent on pdf-archive.com on 29/06/2017 at 23:22, from IP address 50.127.x.x. The current document download page has been viewed 1487 times. File size: 605 KB (12 pages). the competitiveness of the Ariane 5 ECA launcher till its planned end of life. the fairing, in particular for accommodating large electrical satellites. planning with regards to the first launch foreseen now second half of 2016.
focus on the development and qualification of Ariane 5 ES launcher for Galileo FOC mission. price of 15KEuros per kilo in GTO). Ariane 5 launches in total since 1997.
obtaining a balanced exploitation of Ariane launcher. interface) and SYLDA) for an azimuth of 90 degrees. payloads heavier than 6 tons. and gain as no H/W modification is needed. Plan (PIP)) are reported in ,  and . the success mission probability is 99%. and/or investigation depending on their (technicalcost) feasibility. conditions and ESCA engine chill-down. (SCR). This could reach about 50 to 60 kg. reduced to increase payload mass. kg for A5 ECA in GTO. the ESC-A stage (in case of LOx depletion). increasing difficulties for gaining performance. valves and regulators) installed on ESCA thrust frame. which no demonstration could be done by analysis, i.e. and V40) and pressure regulators (D46 and D50). model has been rescaled with Ariane 4 experience. should be available for first flight by end 2017.
a specified performance and injection precision. orbit with semi-major axis at 29 600 km). included in the 2952 kg. were made of a single piece. also electrical and thermal systems adaptations. implementation of a dedicated pyrotechnic valve. (EPS + Dispenser) is passivated. Composite is foreseen, at any time of the mission. Family C. Identical to ATV. Galileo FOC mission with Ariane 5 ES launcher. 5 ES launcher, with well sized development efforts. by a launcher qualification review (CQL) . which might be impacted if the stack (dispenser S/Cs) is somehow stiffened. static testing on S/C side. 15 Hz in lateral eigen-frequency (2nd mode). premises in St Médard en Jalles (France). This file has been shared by a user of PDF Archive. Document ID: 00618271.